An Uber driver was charged with a bylaw offence after he allegedly refused to pick up a passenger with a service dog. Last weekend, CTV News covered the plight of Shelby Travers -- who requires the use of a guide dog -- who said when her Uber driver pulled up, rolled down his window and he told her he doesn’t take dogs. But more recently, she said the city notified her that the Uber driver was issued a summons to appear in court in March. 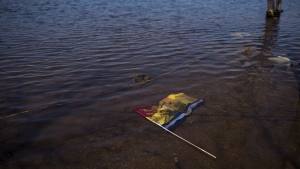 The city said there was a violation of a bylaw which states "all licensees must comply with all applicable federal and provincial laws and regulations and municipal by laws." When the story broke last weekend, Uber had issued a written statement saying it was upset about what happened and added drivers must agree to accommodate riders with service animals because it’s the law. All 13 provinces and territories have legislation to punish service providers who discriminate against people with disabilities. In Ontario, the maximum fine under the Blind Persons' Rights Act is $5,000. 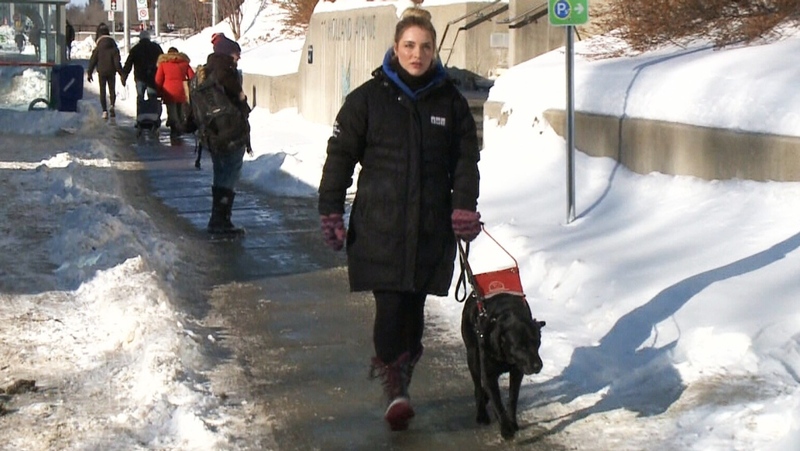 Shelby Travers walks with her guide dog Frances in Ottawa.